Whoa! This is one action packed weekend in Nova Scotia for runners and cyclists. 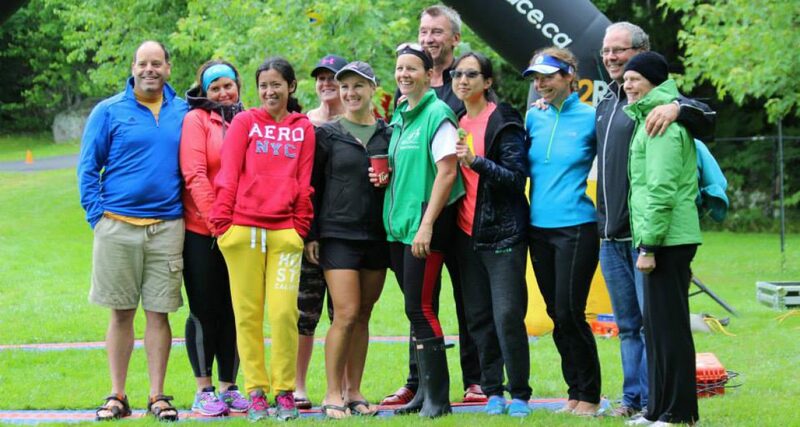 If you are on Facebook you’re probably inundated right now with photos and reports of a great time had at the Rum Runners Relay, the Grand Fondo Baie St Marie, the MEC runs, or the Masters Athletics Clinics……or maybe some other wonderful community event. In addition to some great athletic feats these events all have much in common – a party atmosphere! Congratulations on the athleticism and great results, but most of all happy to see so many smiling, happy faces loving life! Ok, so this week we are still in a holding pattern with the swimming schedule, but remember we are in the “off season” so no panic. These workouts are based on what I know Tineke and I have committed to for this week. If anyone wants to add something else or post a ride (mountain, gravel trail, or road), run, swim workout where others are welcome to join please do! I will also give the heads up that Al Mumford is starting up his indoor cycling sessions on Tuesday evenings @ Banks Bikes on October 4th. Tuesdays are traditionally track and swim night so some tough choices for some.